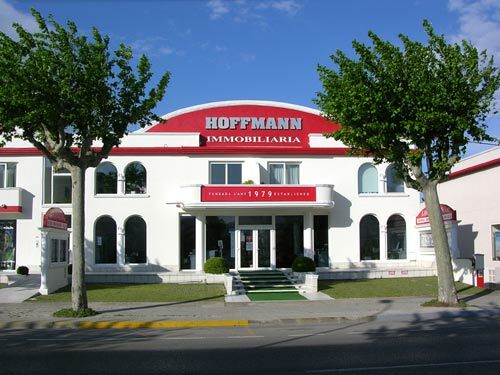 We have been established more than 40 years here in Empuriabrava. It is only 20 miles from the French/Spanish border, on the very northern coast of Spain, and therefore within travelling distance of most northern European countries. 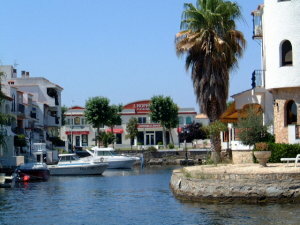 You can reach Empuriabrava by car, there are direct routes on main highways, or by airplane, with direct flights to/from Girona (30 miles away www.ryanair.com), Barcelona, which is approximately 2 hour's drive away or Perpignan (France, only 30 miles away). 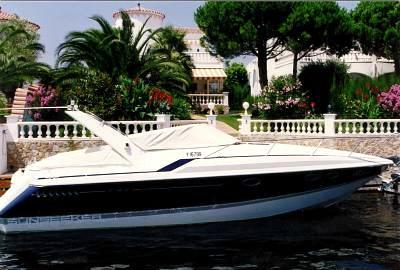 Empuriabrava is a fantastic holiday resort for all lovers of watersports such as yachting and windsurfing; there are marvellous bays with crystal clear water - the Costa Brava coastline is incomparable. In Empuriabrava there is a fully developed infrastructure with restaurants of all categories, cosy cafes, doctors, pharmacies, bakeries, butchers, supermarkets and much much more. Indeed the quality of life is excellent, with a surrounding landscape of green and fertile mountains (the Pyrenees) and over 2500 hours of sunshine each year, with a healthy average temperature of 16 degrees C.
If you own or hire a boat you will appreciate your mooring directly in front of your house - conveniently providing direct access to the sea. Where else in Europe can you find a comparable location? We look forward to introducing you to our properties, either with or without moorings, whether in 'move in' condition or ready for renovation. I (Susanne Hoffmann) and my team are highly experienced and we looking forward to assisting you. As you may already know, we don't just sell properties, we also let them. And we can act as administrators for your property in your absence. We also renovate property, build dream pools, take care of gardens and maintain your house or apartment and it's policies all year round. We are famous for our 'spick and span' cleaning service! We are always there for you and are proud of our after sales service! And, if you wish to sell your property, we will take care of it, efficiently, correctly and without any worry for you. Are you thinking of selling?? We have been elected several times as best real estate agent of the region by the Bellevue magazine.